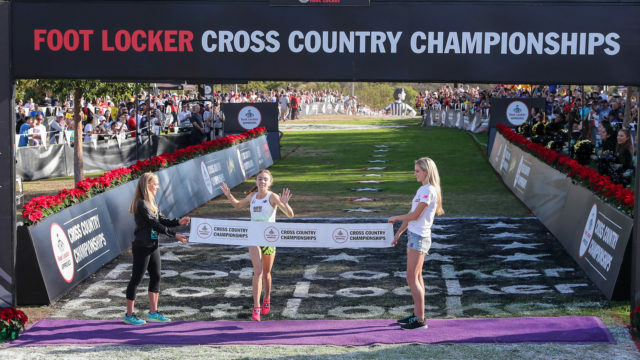 Malibu High School junior Claudia Lane won her second consecutive girls’ Foot Locker Cross Country Championships National Final this weekend in San Diego. 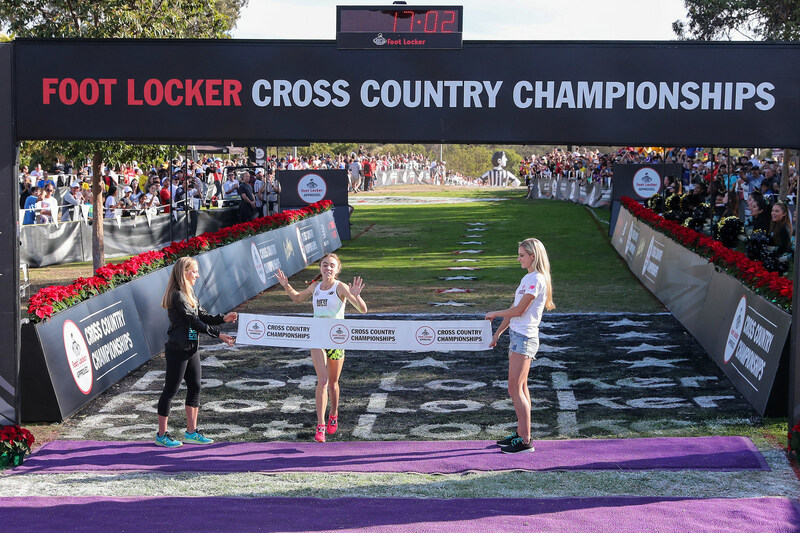 Lane completed the 5-kilometer course through the Morley Sports Complex in Balboa Park in 17 minutes, 3.4 seconds for the wire-to-wire victory Saturday. She is the sixth girl and 11th runner to be a two-time winner of the event, held annually since 1979. Katelynne Hart, a sophomore from Glenbard West High School in Glen Ellyn, Illinois was second in 17:22.5, one-10th of a second ahead of Olivia Theis, a senior at Lansing Catholic High School in Lansing, Michigan. Lane held an eight-second lead after the first half-mile in the field of 40 runners who qualified for the race by their performances in four regional championships. She completed the first mile in 5:17, 14 seconds ahead of a pack led by Marlee Starliper, a sophomore at Northern High School in Dillsburg, Pennsylvania. Lane ran the first two miles in 10:58, 15 seconds ahead of Hart and Theis, 16 seconds ahead of them through 2 1/2 miles and 20 seconds ahead of the second-place Theis through three miles. Starliper was 13th in 18:04.0. The boys’ race was won by Dylan Jacobs, a senior at Carl Sandburg High School Orland Park, Illinois in 15:19.7.